6. Take advantage of gift cards. Similarly to paying off your trip weekly, I often find it helpful to put a certain amount of money on a Disney gift card per week, that way you have this money saved for when you are there. 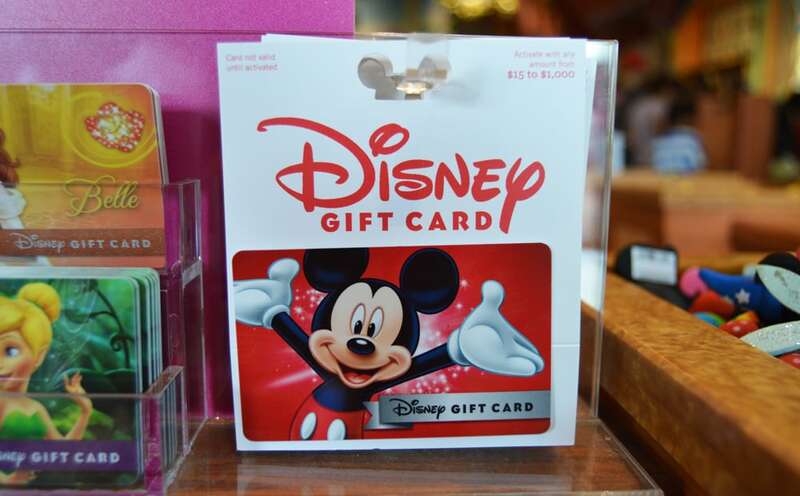 If you put money on a Disney gift card, you can use it for shopping and dining, or you can use your Magic Band to charge these items, and then use the gift card to pay off the bill when you check out of your resort. Gift cards are also a great way to control souvenir shopping for kids—tell them they have x amount on a gift card, so they can still choose what they want to buy, but they’ll understand in advance that there is a limit and they need to choose carefully.